The skeletal remains are thought to be unique as they are buried near the site of a Roman villa, making it likely that the five skeletons belonged to the owners and occupants of the villa – the first time in Britain that the graves of villa owners have been found in such close proximity to the villa itself. Five skeletons were found; two adult males, two adult females and an elderly female – with researchers postulating that they could be the remains of three generations of the same family, who all owned the villa. The bones are thought to date from the mid-4th Century (around 350 AD). 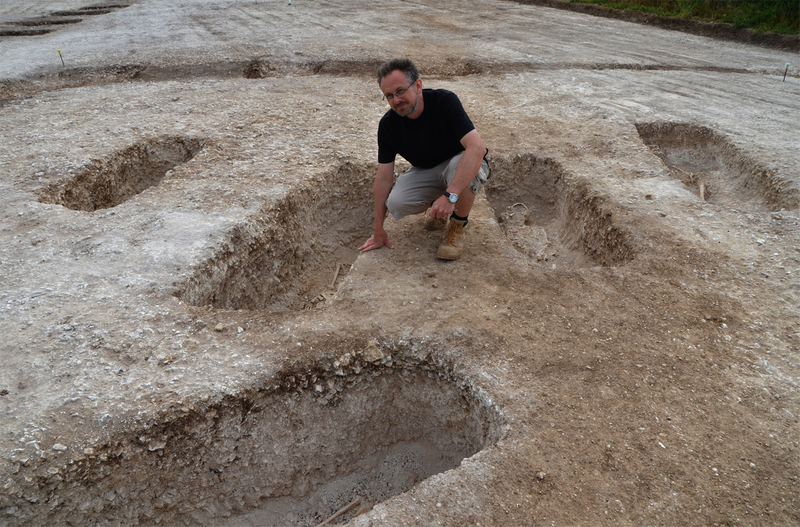 The discovery was made by staff and students from Bournemouth University, who are working on the Durotriges Big Dig project in North Dorset. The villa itself was excavated last year by students working on the project, and the latest find is the final step in excavating this particular area of rich archaeological significance.